 We offer training in all disciplines in an environment where all of our trainees support and encourage each other. 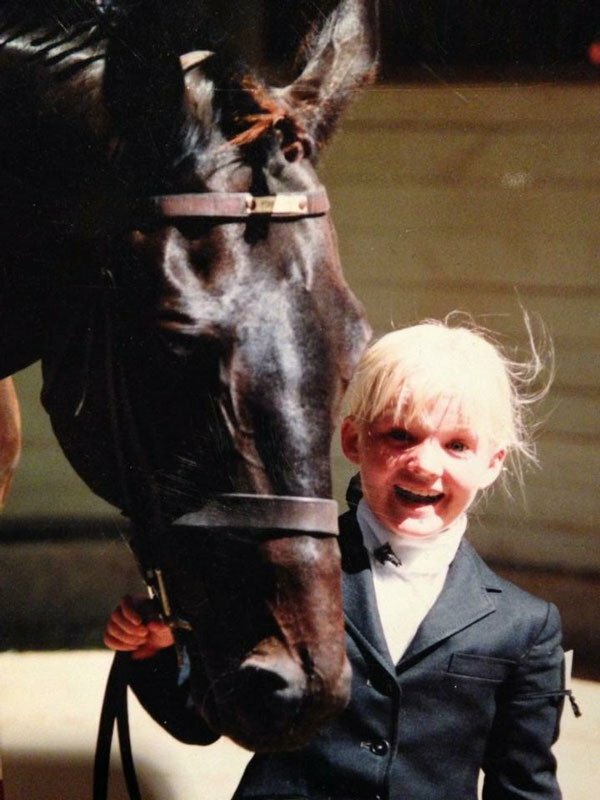 Horses have been my passion for as long as I can remember. 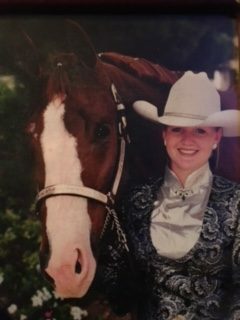 While half-leasing an American Quarter Horse when I was 8, my parents figured that the stall cleaning would be the end of my horse crazy days, and were they ever wrong! 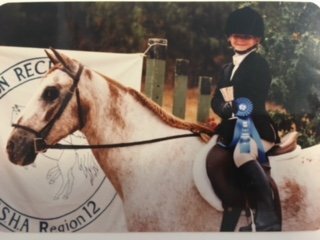 I was blessed with my first horse for my 10th birthday, and I still have KC at 33 years young. Through elementary and high school, I showed the local circuits across Southern California with KC, then soon Silken Memory. Silky and I achieved a lot of success, winning numerous year-end honors, many belt buckles and trophies, saddles and prizes. I was even crowned Highland Riders Queen, after a riding test, written test and speech. I wore that crown proudly and was honored to represent the club throughout that year. While attending Troy High School, I had the opportunity to cross paths with an amazing teacher. I always wanted to be recognized as an athlete, and with her help we worked tirelessly through the district and founded the Troy High School Equestrian Team. I was the President and Founder of this groundbreaking team. 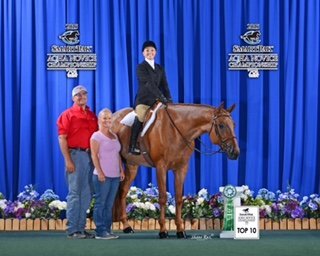 We had ten girls and competed in a circuit called the Interscholastic Equestrian League and not only had the opportunity to compete against other high schools, but we were able to receive physical education credits for out riding and training. At the year-end banquet, I earned multiple Championships and Reserve Championships, and was awarded a coveted Scholarship through the league my senior year. Troy High had a magnet program called Troy Tech where out of district students could test in to be a part of this emerging program. Every student had to complete a 150-hour internship in a field of their choice, so naturally I chose horses! I traveled to Reno, Nevada with a famous Arabian Trainer and attended a large horse show and was the first student of Troy to complete their entire internship in ten days! I learned so much working for Chris, and I believe this is where my interest in training peaked. With the addition of Title 9 in the late 1990s, colleges were scrambling to create women’s sports teams to appease the NCAA and the new criteria where women’s sports needed equal funding as well as equal numbers as men’s teams. 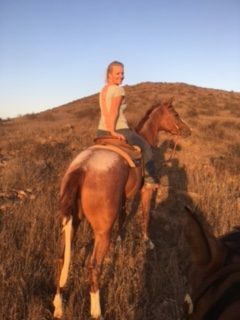 Fresno State created the Equestrian Team, and I was offered a scholarship to ride, which I graciously and excitedly accepted! While competing for the Bulldogs, I was first in the Region, second in the Zone and ninth in the Nation. During these formative years, I worked to keep my horses by cleaning stalls for a local trainer. I spent every extra minute at the barn asking questions, watching, listening and learning. I had a need for knowledge and experience of the different aspects of the industry. 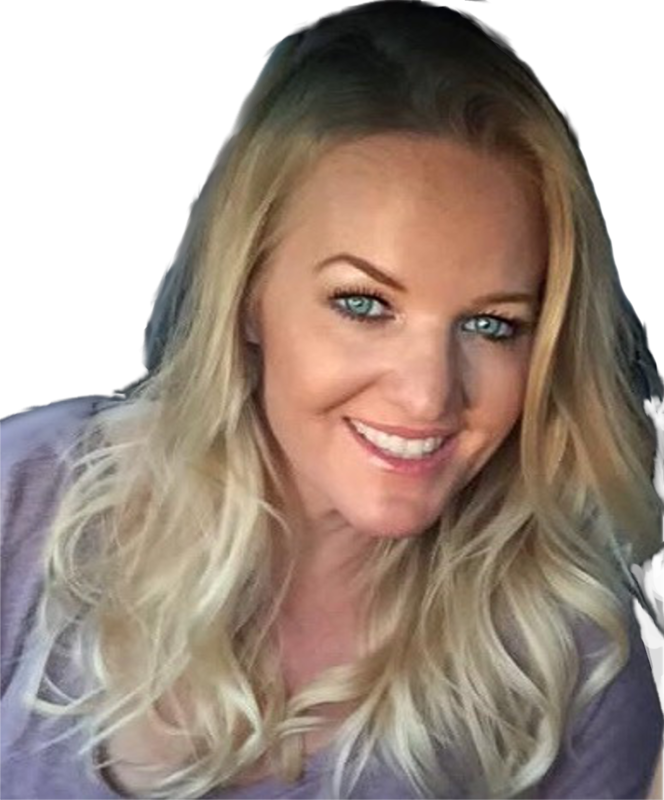 I wasn’t sure what I wanted to do after graduation but voraciously studied in my field and ultimately earned a Bachelor of the Arts Degree in Communications. I had no idea then how much this information and degree would benefit me later as a horse and human trainer! 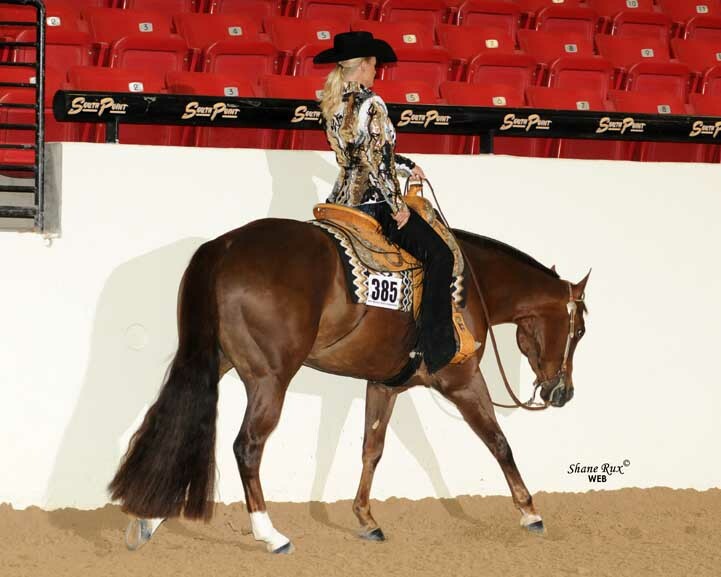 Upon graduating, I turned my love and passion into a career, and ultimately opened Stellar Show Horses in the Fall of 2006, where I had a lot of success with horses and customers. We always brought home buckles and awards from some fun shows in central California. Striving for knowledge and further success, I sold the ranch years later and moved south to gain experience and skill working as an assistant trainer. I spent 4 years working under two of the industries’ top professionals. After spending these informative years experiencing different situations, I learned about the business, the people and especially the horses. I believe that is the trainers job to develop a program for both the horse and the rider as individuals. No two horses or riders learn the same and I believe in creating an individualized program for every team. I have seen firsthand the importance of communication with not only the horse, but with the client as well. I believe in the power of a safe, honest atmosphere where horses and riders feel comfortable to learn, and to strife to reach their goals. My goal is to do this in a drama free environment! 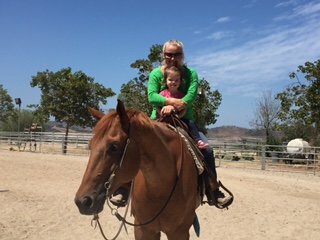 Enjoying the seasoned horse and rider, I find it equally satisfying teaching the younger up and coming generation of horsemen and women. In my program, I teach from the ground up. 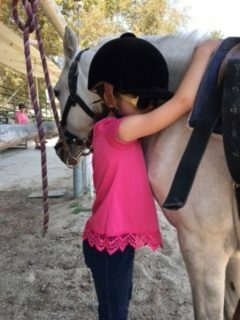 It is my goal to teach each rider everything there is to know about horses, keeping the in mind that they will hopefully one day have a horse of their own. Safety, grooming and horse care are equally as important, if not more, than riding and I like to teach what I call a “whole horseman”. 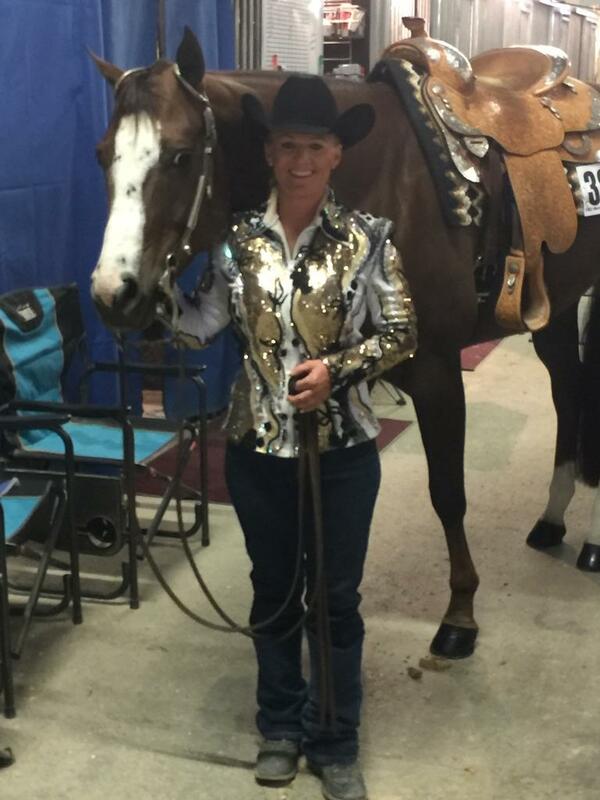 With little or no credentials offered or needed to be a horse trainer, I am a very proud member of American Quarter Horse Associations Professional Horseman’s Association. 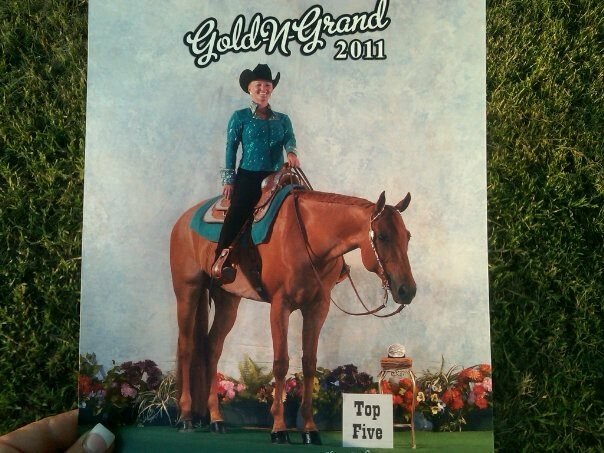 I specialize in Quarter Horses and Paints, Youth and Amateur All-Around teams. 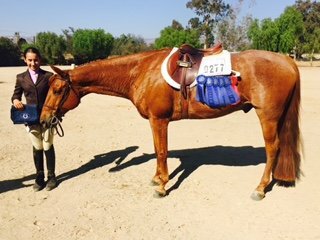 Looking forward to next show season, I am excited to announce my position as Head Trainer of Rutherford Ranch. This amazing facility is located on the border of Simi Valley and Moorpark and was the first working horse ranch of the area! This beautiful ranch is the former home of Jack and Linda Baker and is rich in history. 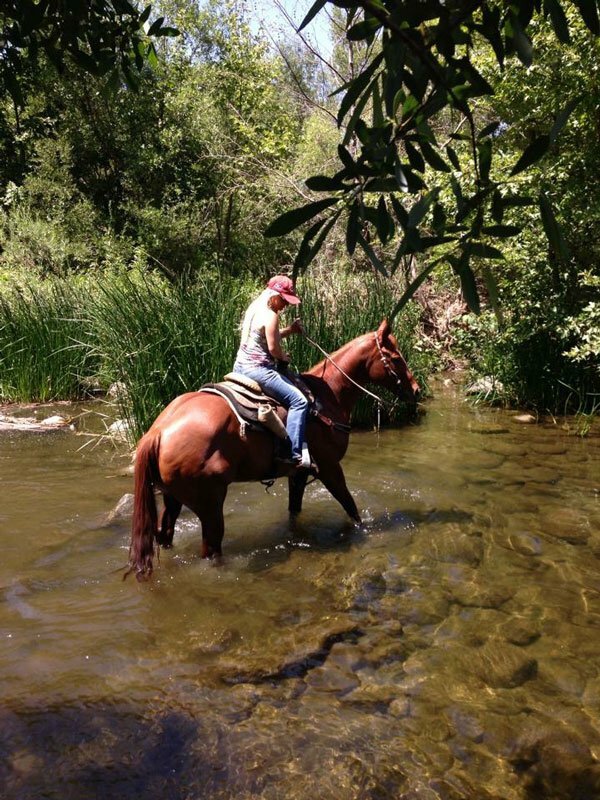 After months of upgrades, Rutherford Ranch has some of the finest accommodations around for you and your horse. Schedule a visit to see the new and improved facility and to hear about the many options in training and in lessons. We offer Full and Part time training, tune-ups as well as exercise and maintenance programs. We also have a lesson program, private and group, on your horse or ours. 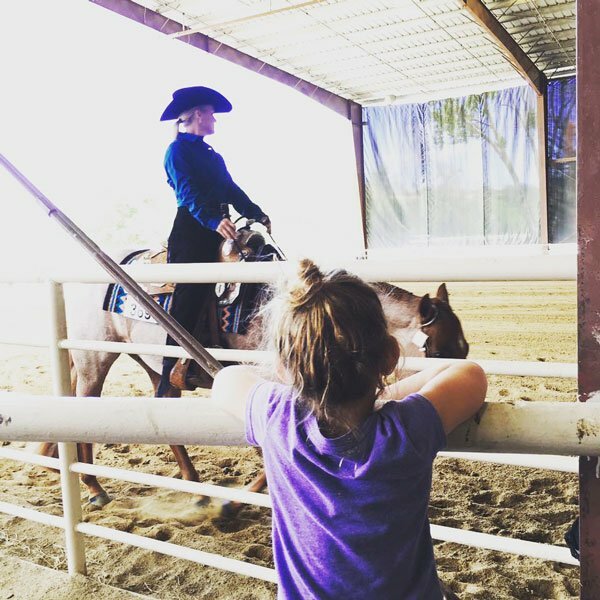 From beginners to the avid horseman, Rutherford Ranch and Katie Wagner Show Horses offer everything that you need for you and your horse’s future success, inside the arena and out.